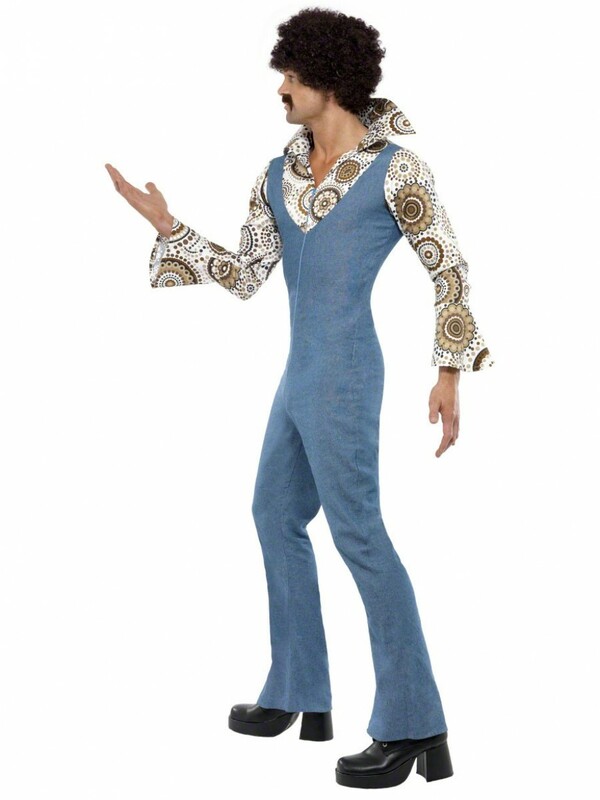 This groovy denim look Jumpsuit with mock shirt is the perfect outfit for 1970s disco fever! 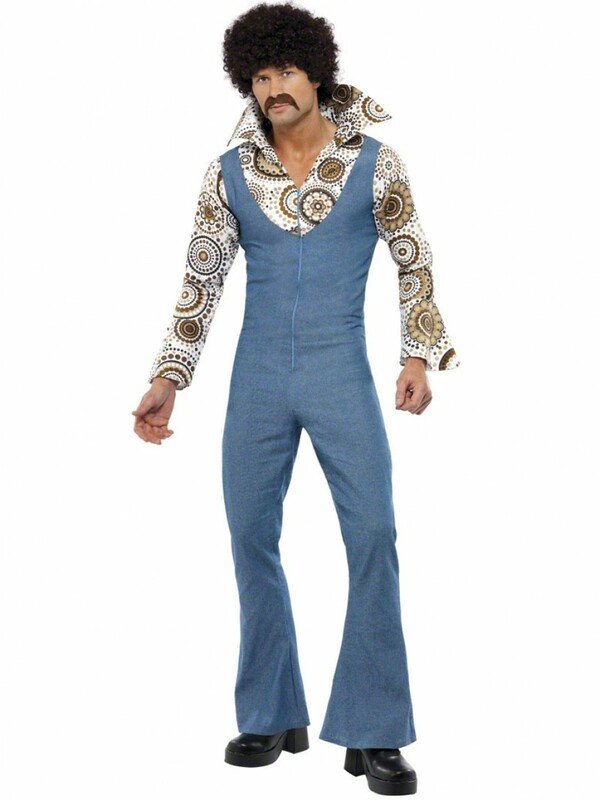 This groovy outfit includes an all-in-one jumpsuit with an attached mock shirt. This suit has a denim look and attached mock shirt with funky design and oversized collar, as pictured. The suit zips at the front. 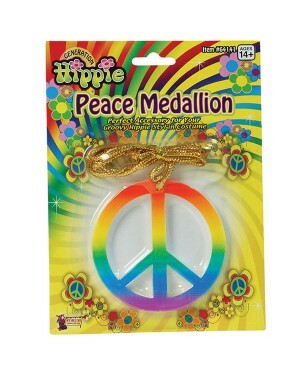 Great fun for any seventies theme! This costume is available in medium, large and extra large. Please see the below size guide for full details. 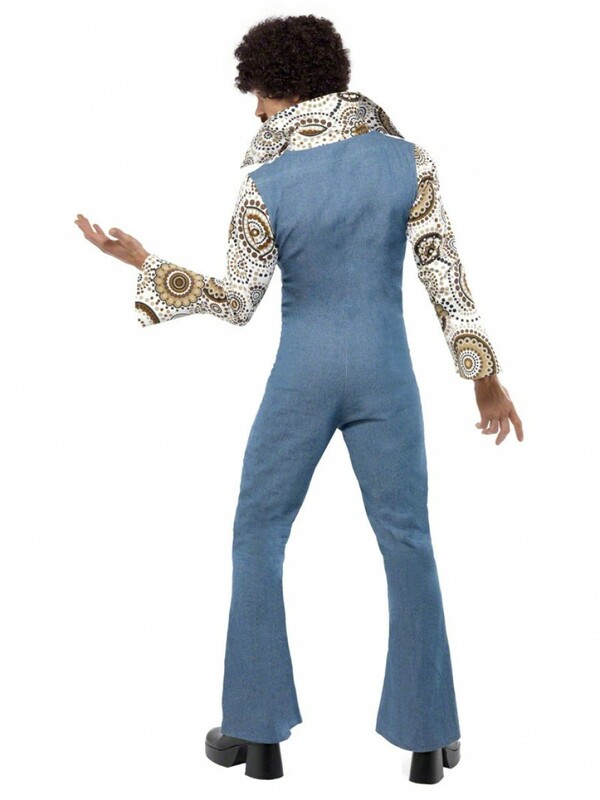 All-in-one jumpsuit with mock shirt. 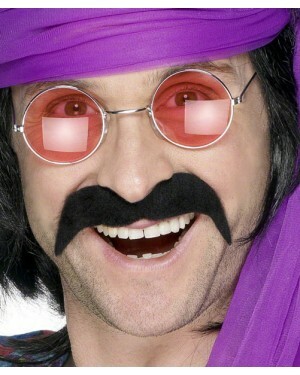 Please note that the shoes, wig and tash are not included.